Apple Hardware and Software, Support, Buying, Upgrading. Whether its Graphics or Computer Repair, people look to "Experts" to have the answer to everything... isn't that why they are "experts?" New ideas, new hardware, new software ... new problems. As tech experts we know a lot, but we can't know everything. "I don't know, but we can find the answer together." Download an information page for personal training and consulting. This illustration is a composite of a photo from my Canon EOS and iPhone 5 photos of Carmel Beach. Links to various services and resources are at the bottom of this page. To paraphrase Mark Twain - rumors of Apple's death have been greatly exaggerated. The ongoing problem seems to be that the "media" has never been able to distinguish the product from the producer. It's amusing that this has been going on since Steve Jobs left Apple the first time! Even when they have more money than EXON and are the best known brand in the world. Of coarse, the "paid negative reporting" from the Microsoft camp has already been addressed in the federal trade suit. When Dell, Compact, or even IBM post losses, no one shouts the PC is doomed! No one worries that Lexus and Mercedes have less market share than General Motors... Its almost a given that no matter what kind of amazing new product Apple announces, the "experts" moan and groan about Apple having "lost its ability to innovate," predict it will flop and the stock falls. Wikipedia has a great chart showing a timeline of Mac models. 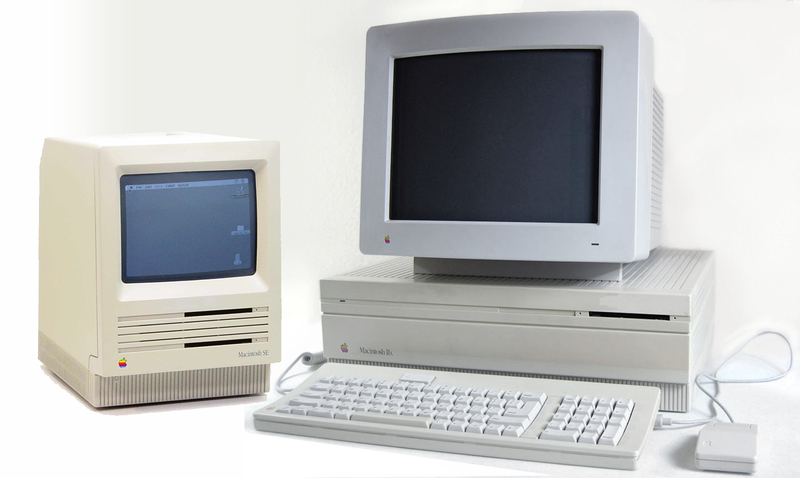 My first Mac was also the first model with color... it had a smoking 16 MHz 68020 processor, 1 MB of RAM, a 40 MB hard drive... and 12" display with 8 bit color... the Mac II (below). It retailed for a whopping $5500! And it came without a monitor or a keyboard for that price. Eventually I was able to afford $800 for a 16bit 14" Sony monitor. That's a lot, even today. The equivalent of a fully tricked out MacPro with a 4K monitor today. Adjusted for inflation you are looking at $8,583 for just the Mac II processing unit... $13,400 when you add a keyboard and monitor. . Shortly afterward I got a "portable" Mac SE...8 MHz 68000 processor, 1 MB of RAM, and no hard drive, just dual 800k disk drives, and weighed 17lbs... another $2900. I still have it and it's fancy burgundy padded carrying case with shoulder strap. Network connectors were optional and either had wifi, Bluetooth or USB. That's probably a big reason why I don't think $1299 is a lot for a portable that weighs 2lbs, with a 1GHz processor, 2304x1440 resolution color display, 8GBs of RAM, wifi, Bluetooth, and a 256GB flash drive. 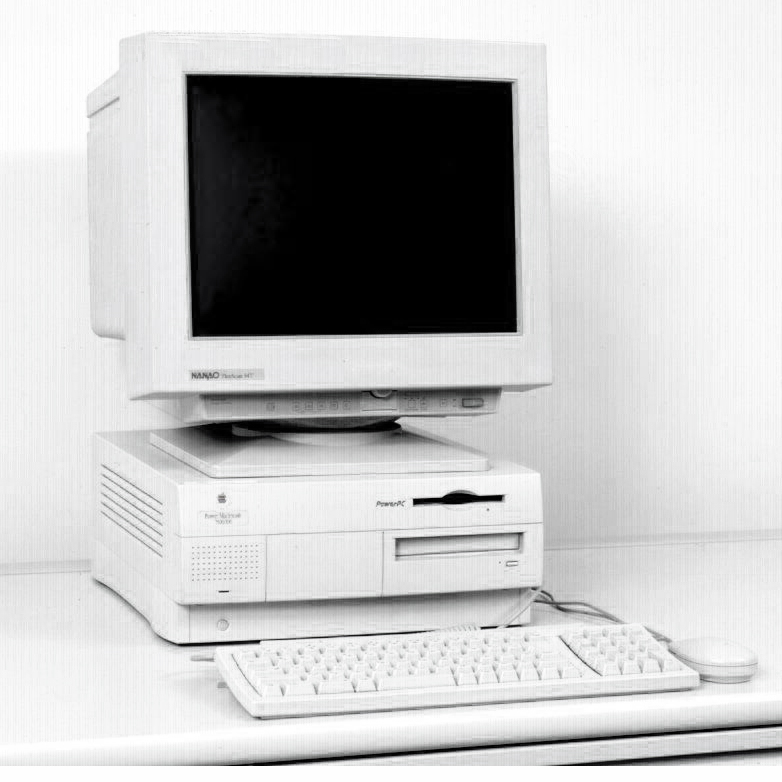 When I started this website I was using a "top of the line" 7500 PowerPC (like the one below), 100 MHz PowerPC 601 processor, 16 MB of RAM, and a 500 MB hard drive that was later upgraded to a 120 MHz 604 with two 18 Gig hard drives... really fast stuff for those days... and only $3000... $4,680 in todays money. Three 4MB RAM chips set me back $500 each. Now my tools are hundreds of times faster, storage is more than a major university library and and everything is an awful lot cheaper. And we finally have the computer on our wrist that talks to the one in our pocket and the one on our desk! Tech support people can be anti-Mac as well. Over the years I've come to the conclusion that Microsoft has a catch-all in their tech training that says "if you have a hardware or software problem, and a Mac is in the building... it's obvious that the Mac caused your problem." I've had it suggested to me that the connection interruptions in the outgoing phone portion of my DSL line were because my Mac laptop was using the wireless network! Give me a break! These IT people just like to bemoan the existence of something that doesn't allow them to program it (one reason there are so few Mac viruses) or require their expensive services. 1) I want the fastest machine I can get, but I don't want to pay a fair price for it! If "freeway speed" for the "cheapest price" is that important, why aren't there more Hugo's on the road? Mention Ferrari, Lexus, Gucci, or even Levi and people understand perfectly well why you pay more for quality. But people still think Apple is riping them off when it charges more than Acer or Samsung. That aluminum case isn't there just to make it more expensive. Would everyone be defying copyright laws to steal things that weren't valuable? And it may not be important to everyone, but Apple is committed to environmentally responsible processes and material. In 2010 they set out to achieve a worldwide recycling collection rate of 70% total weight of products sold in the previous 7 years and succeeded in reaching 85%. The Windows machines may be cheap to acquire, but if you aren't a tech person you are going to make up the difference in down time and service calls. Mac owners don't have to retain an expensive tech support person and a stack of third party manuals along with their purchase. The slightly higher prices we pay when purchasing our Apple products are for the standardization of implementation and product quality. They are beautifully designed machines with speed and power for sophisticated graphics, multimedia and database users, while being simple enough for the average 6 year-old to setup and maintain (literally). You just cannot compare computers based on price per megahertz alone. Even WinTel boxes differ widely in that respect. The motherboard configuration, hardware, and operating system can put a serious drag on even the fastest processor. When judging a machine's speed, be sure you are looking at bench marks for "real world" application use - not just processor clock speed. "Real World" means the things you really DO every day. > Just how fast do you want your word processor to scroll through that paragraph? So fast you find yourself at the end of a 100 page document when all you really wanted was a sentence? > Does it get your work done quicker if the system can run 500 time faster than you can type? Will the difference between 300MHz and 800MHz make that web page download faster with the same on-line connection speed? > If you are a serious gamer or do intensive multimedia work, that power is important. Otherwise it may be just a serious waste of your time and money. > The average Mac runs 30% faster than a comparable PC because the System software is so much more efficient. Price comparisons show that many Macs actually give you more for the money than a comparable PC. 2) Isn't Windows just like a Mac?
" I couldn't believe how primitive and horrendously unfriendly Windows 95 is. 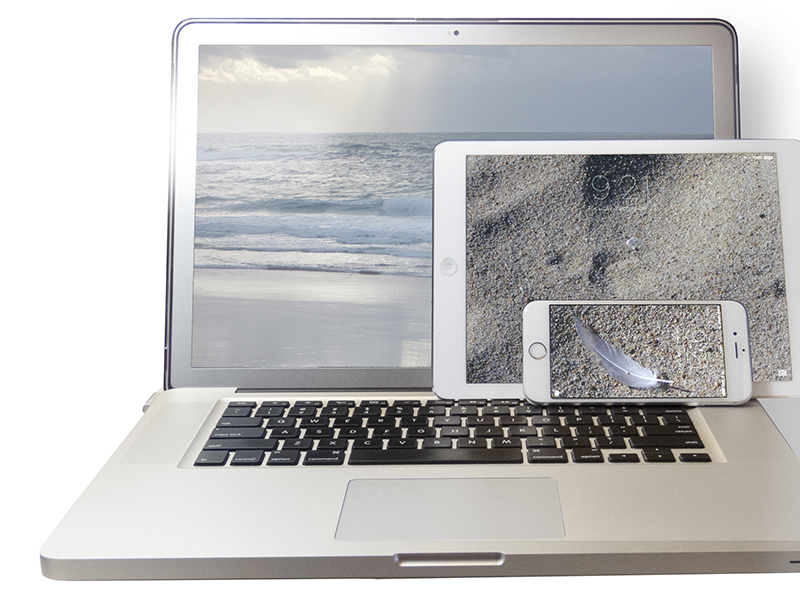 I had no idea how great we Mac users have it until I spent some time on the other side." Nothing much has changed since then. Window 98 got better, but most of what has come since has been pretty widely panned. You know its bad when people purposely buy older hardware because they don't want to be forced to use the newest software. Actually, Windows IS pretty much the Mac - like it was in 1985. It is comforting to see that the biggest underground Mac supporter has got his greedy hands slapped by the Justice Department. He went to a lot of trouble to steal the "look and feel" of the Mac system... now if we could do the same to Samsung. The computer is a tool. Professionals in any field use the best tool for the job. A writer chooses a pen or word processor based on how they work best. A carpenter doesn't look down on his hammer because it can't cut wood. In a business environment, some tasks can be done cheaper on a cut rate PC. But there are still many tasks that the Mac does better, where the upkeep is cheaper and easier. Where user support is handled by the company, much of it for free, by people who have gotten numerous awards. > Statistics consistently show that Mac users are many times more productive than their PC counterparts in most fields, especially creative ones. The ability to read from, write to, and even format, Windows/DOS/UNIX media has been standard or available on all Macs since the 90's. 3) There is so much more software out there for Windows machines. With less standardization and no controls, writing software for the PC is something almost anyone can do - but you buy it/use it at your own risk. One look at the number of "how to" books in any store for the Windows platform should tell you that you need more help in using these programs. That ease of writing code also makes it possible for people to create viruses almost faster than the anti-viral companies can deal with them. There are very few viruses in the Mac environment. So few that criminals have had to resort to tricking users into downloading malicious software as antiviral programs, games or other "popular entertainments." For those who require PC software compatibility, the ability to install Windows on the Mac is and run those programs in native mode is built in. Third party programs let you run both operating systems side by side. And benchmarks show that Windows runs more efficiently on the Mac hardware. This complaint has finally been put to rest. The PowerMac was included in the list of machines that the government considered too advanced to be sold to certain countries. Apple was the first to bring a functional graphical user interface to the public in 1984 and fought hard to prove its worth. The Mac operating system has been a coordinated unit from the beginning - not a superficial copy of someone else's interface standing on top of a poorly written, and stolen, 1970's operating system, that's been jury-rigged to function in the modern hardware environment. With System X , Apple is combined the best of NEXTSTEP and the Mac OS to produce an operating system thats ahead of its time - one without more than 56,000 known bugs in it! Today that OS has gotten 64bit power and cutting edge features. When you manufacture the hardware (including the processing chips) it gives you the ability to fine tune performance and maximize every ounce of space... nothing needs to be included for theoretical third party use. Developers may not be able to "do absolutely anything they want" but they know they are supported and protected. These links will be changing over time.